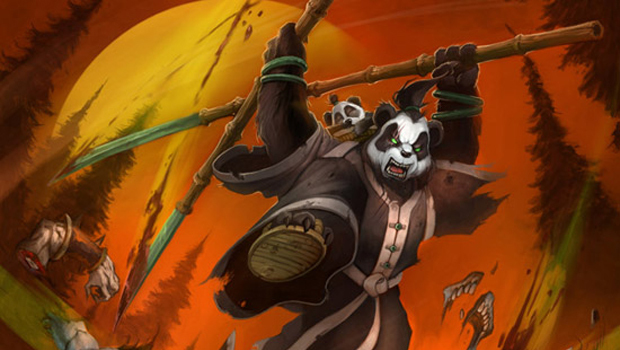 The pandaren race was introduced in Mists of Pandaria — so what exactly do we know about their age and lifespan? Not much at all, really, which leaves the process of making a pandaren character a pretty big open book as far as determining the correct age is concerned. Then, too, is the history of the pandaren race, which has also been left much like a few other Azerothian races with a few key, defined events, and then a lot of nothing in between. While this might sound intimidating to work with, it’s really a blessing in disguise. With no hard references for age limits and no major current historical events other than the ones we played through in Mists, you’re free to sculpt your pandaren character’s history as you see fit … with a couple of major rules of thumb to keep in mind, of course. But for pandaren roleplayers, there really aren’t that many “wrong” answers when it comes to creating a character. What little we know of the pandaren suggests that their lifespan mimics the other races of Azeroth, with maturity being reached around 15-16 years of age. The reason I suggest this is that Li Li, Chen Stormstout’s niece, had her first adventure in Pearl of Pandaria at what was suggested as a “tween” age — 10-12 years old, which would place her at 14-15 in Mists of Pandaria, roughly. Still young, but definitely old enough to strike out and have adventures on her own. If we go by that standpoint, middle age would be a standard 35-45 years of age, old age would be 70-80, and so on. But none of this has been clearly defined, so if you want to create a wise, 150 year old pandaren who has been a Lorewalker all his life, by all means go for it. We do know that pandaren don’t live forever. They aren’t immortal. On the Wandering Isle, we witness a pandaren that passes away of old age, naturally and gracefully, so there is some point where pandaren lives simply give out. 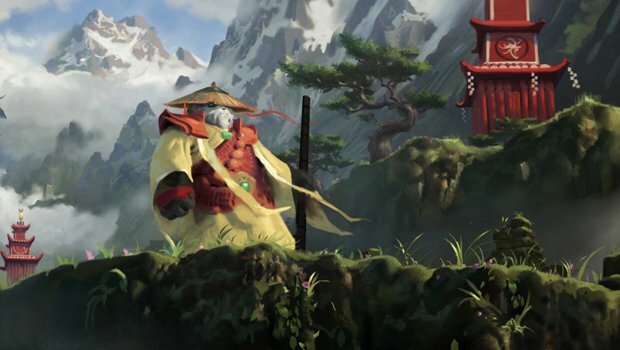 Famed pandaren explorer Liu Lang passed on at the age of 122, so that could be used as an indication of general life span as well. On Pandaria itself, although life seems to be fairly idyllic for the most part, there are predictable mantid swarms to contend with that will presumably result in some causalities as well. But by and large your average pandaren life was full of joy and fairly uneventful … until we showed up. Mantid swarms occur every 100 years like clockwork, so our arrival and the subsequent swarm were both completely unexpected, but they also give us a clock to go by. The recent swarm was about 10 years off from where it should have been. This means that if your pandaren character was born during the last swarm, they’d be 90 years old by now and they certainly wouldn’t remember it. If they fought against that swarm, they’d have to be at least 105-110 years of age, currently. What makes the pandaren so unique are their origins — because there are a few different paths you could choose for your pandaren character. The main island, Pandaria, has been hidden away in the mists for the past 10,000 years. This means that a pandaren character born and raised on Pandaria wouldn’t really know or understand the various other races they encountered during Mists of Pandaria. They’re only really familiar with the creatures that live on Pandaria already, and have also lived through that long stretch of isolation. There are tales of the explorer Liu Lang, but neither he or his famed Wandering Isle have been seen in generations. On the Wandering Isle, the story is a little different. 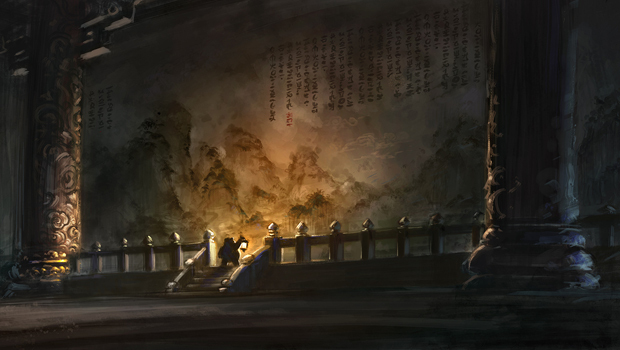 Pandaren from the Wandering Isle are all descended from those that followed Liu Lang onto the back of Shen-zin Su. Remember, it had been generations since Shen-zin Su visited Pandaria — this was long enough that Pandaria itself was almost as much of a myth to the residents of the Wandering Isle as it was to the Alliance and Horde. Part of the reason Li Li Stormstout initially set out on her adventures was that she was determined to find Pandaria, something thought both foolish and impossible. Li Li expressed dissatisfaction with life on the Wandering Isle, suggesting that its residents had forgotten the lessons of Liu Lang and lost the sense of adventure that had put them on the Wandering Isle to begin with. And then there’s the third option, which is a little riskier to play with in terms of origin stories, but not at all unheard of — your pandaren character has been wandering Azeroth all this time. Perhaps they were born on the Wandering Isle, but at some point in their life they decided to head to the mainland and see what the world had to offer. Chen Stormstout was one of these pandaren, and he was not alone in this zest for exploration. 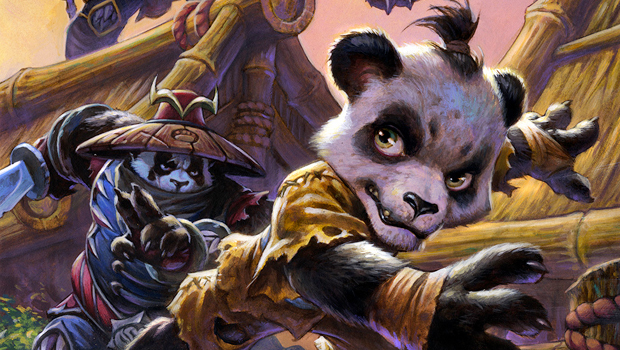 Pandaren mercenaries have been featured before in Blizzard titles, and rumors about pandaren persisted all these years, suggesting that yes, pandaren have been seen here and there, elusive as all get out, but still around. Here’s the general facts you need to get sorted out regarding your pandaren character — regardless of their origins, at some point in their journey, they chose one side to ally with over the other. For the pandaren of the Wandering Isle, this choice is laid out very deliberately, but if you’re roleplaying a character who has been wandering Azeroth all this time, or been a resident of Pandaria all this time, you’ll need to decide why they chose to ally with either the Alliance or the Horde. Pandaren are treated very well by the Alliance. The Horde, on the other hand, is a completely different story. Pandaren that chose the Horde path were thrown right into the middle of a inter-faction war that had Vol’jin’s rebels pitted against Garrosh Hellscream’s so-called “true Horde” of orcs, orcs, and … well let’s face it, mostly orcs. Pandaren were not treated kindly, as evidenced by Ji Firepaw’s treatment during the Siege of Orgrimmar. At the end of Siege, your pandaren chose to stick around and see things through — why they chose to do so could be an interesting bit of character development all by itself. There is another creative alternative to this as well. Players that feel the need to play a “neutral” pandaren could theoretically roll two identical pandaren characters, level them both simultaneously, and interact with both Alliance and Horde in character as a “neutral” entity. Doing so is an entertaining notion, but keep in mind that Horde or Alliance citizens might not look too kindly upon someone who rubbed elbows on both sides of the faction fence. Regardless of your decisions, the aftermath of the Siege of Orgrimmar has left the pandaren with some interesting character choices to think about. Where do your character’s loyalties lie? Did they immediately pick up arms and head to Draenor to help the faction they aligned with, or are their interests far more personal? Do they want to see the Iron Horde brought to its knees, preventing another rise of an empire similar to the mogu or the Zandalari? Or are they just bent on seeing Garrosh Hellscream get his due? For pandaren characters, history is a wide-open book that has yet to be written — you can pick and choose what you’d like to see on the page.